Microsoft shares details with developers about Project Scorpio entitled 'Reaching 4K and GPU Scaling Across Multiple Xbox Devices'. Microsoft's race for 4K console gaming is on the way, with new details emerging on how they plan to reach true 4K resolution with Project Scorpio. Until now, not a great deal about Project Scorpio has been revealed by Microsoft but the new whitepaper document that has been sent to developers has been leaked online. 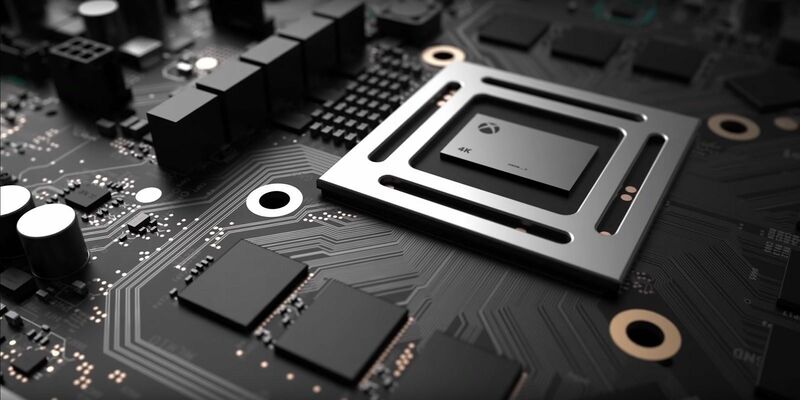 The whitepaper, simply titled 'Reaching 4K and GPU Scaling Across Multiple Xbox Devices', reveals a fascinating look on what Microsoft has planned for Project Scorpio. "ESRAM remains essential to achieving high performance on both Xbox One and Xbox One S," the whitepaper reveals. "However, Project Scorpio and PC are not provided with ESRAM. Because developers are not allowed to ship a Project Scorpio-only SKU, optimising for ESRAM remains critical to performance on Microsoft platforms." There are other clues within the whitepaper that also reveal some of Project Scorpio's hardware too, including Project Scorpio's GPU. The massive six-teraflop GPU is once again confirmed and the GPU's compute power is rated at around 4.5 times the capabilities of the Xbox One. A small comment in the whitepaper reveals on how Microsoft proposes that developers should use Project Scorpio's enhanced GPU performance. "We acknowledge that developers may not wish to spend all of the additional GPU resource of Project Scorpio on resolution, and this is not mandated. To make the best games possible, developers will inevitably spend GPU resource on other quality improvements such as higher fidelity shadows, reflections, texture filtering and lower draw distances. Another option developers might consider is frame-rate upscaling - running graphics at 60Hz but the CPU at 30Hz and interpolating animation." It confirmed eight CPU cores out of the gate, suggesting a higher-clocked version of its existing CPU technology and all of its messaging has been about running existing game engines at 4K resolution with HDR rendering. The whitepaper we've seen primarily concentrates on how this is possible. A 4.5x boost to compute power suggests that 1080p engines will scale nicely to 4K on Scorpio, but the reality is that many Xbox One titles render at a 900p base resolution. The leap to 4K therefore becomes a 5.76x increase in pixel-count and at the same time, developers may not wish to spend GPU power on pixels alone. However, the fact that the GPU does more than compute pixels can help in the quest to render at 4K, and not all surfaces are tied to display resolution. The whitepaper also reveals that rasterisation efficiency increases in line with resolution - an interesting metric shared by Microsoft is that an unnamed first-party title running at 1080p sees the number of pixels processed increased by a factor of 3.5x in the leap to 4K, not the 4x we would assume. The platform holder also recommends several techniques in improving efficiency without unduly impacting image quality, citing half-resolution and 'sparse' rendering as two examples. Half-resolution is a technique we've seen before, where intensive GPU effects are cut down in size to effect efficiency savings, sitting within a full resolution framebuffer. "Half-resolution rendering is typically used for transparencies and screen-space effects, SSAO, SSR, and perhaps even shadow accumulation, global illumination and non-important local lights," the white paper reveals. "On Project Scorpio, a half-resolution effect rendered at 1080p and bilaterally up-sampled to 4K could look as good or better than the same effect rendered at full resolution on Xbox One. For example, on Xbox One, the effect is produced at full resolution, say 900p, but on Project Scorpio, the effect is produced at 1080p, which is half resolution." In effect, Microsoft is saying that half-res effects run at 1080p in a 4K framebuffer will look better than a native 900p, which is difficult to argue with. The second major technique it advocates is 'sparse rendering' - which is better known in the post-PS4 Pro era as checkerboarding. Not only does Microsoft advocate the same technique for Scorpio, it also cites the same impressive work by Ubisoft seen in Rainbow Six Siege - to the point where the exact same presentation shown to me by Mark Cerny a few months back is referenced in the whitepaper. Of course, the technique has evolved further since then, with the same core technology also used in the PC and PS4 Pro versions of Watch Dogs 2, with exceptional results. Microsoft also strongly advocates the use of dynamic resolution scaling within the whitepaper, and it describes it as titles aliasing "a vector of render targets in the same virtual address space, and at runtime choose[s] which to index, increasing or decreasing resolution based on whether the GPU is completing early or late. Thanks to DirectX12, this aliasing can be achieved on all of PC, Xbox One, Xbox One S and Project Scorpio." On the face of it, the in-depth discussion of techniques like this may be suggesting that Scorpio isn't the 'true 4K' console that Microsoft marketed it as at E3 2016. 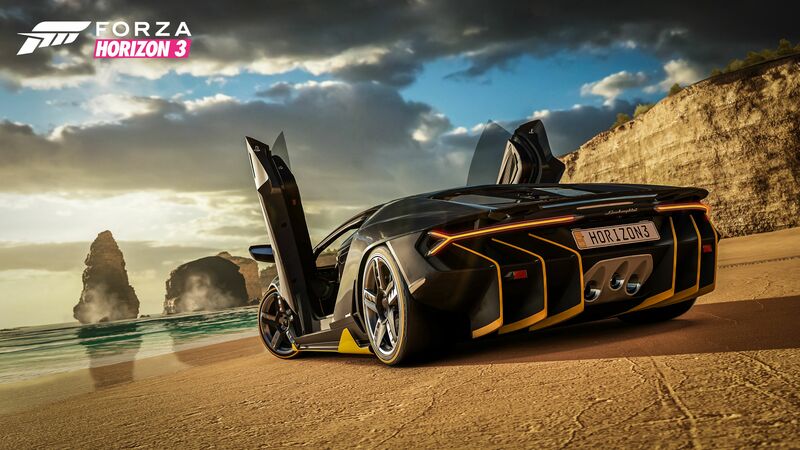 But the practical reality is that the document confirms that at least one first-party 1080p title has transitioned relatively easily to native 4K (our best guess would be the Forza Motorsport engine is the technology in question here), and accepts the reality that GPU resources aren't always best spent on precision pixel-work at ultra HD resolutions. Of course, the reality is that the techniques outlined in the whitepaper have been battle-tested by PlayStation 4 Pro. Titles like Rise of the Tomb Raider, Horizon Zero Dawn and Days Gone have validated sparse/checkerboard rendering up to 2160p, while Call of Duty Infinite Warfare employs virtually all the techniques Microsoft discusses in some way, shape or form. Scorpio's additional horsepower - combined with more developer experience by the time it launches - should also lead to fewer of the basic 1440p ports we've seen on PS4 Pro. But what the whitepaper doesn't cover could also prove instrumental in Scorpio delivering more titles that run effectively on 4K screens. In our original Scorpio spec analysis, our primary concern was the size of the processor based on the six teraflop GPU, where a 56 or 60 compute unit chip seemed most plausible. We now know that AMD's next-gen Vega GPU boasts considerably improved frequencies - and the faster it runs, the fewer CUs are required to hit the 6TF target. 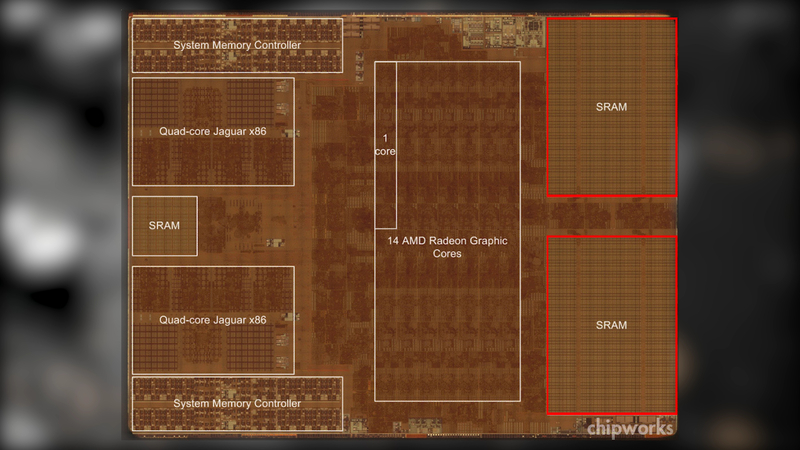 Just 40 CUs at 1.18GHz could deliver Scorpio's stated 6TF, or 44 at 1.07GHz. On top of that, Vega's use of a tile-based rasteriser (widely seen as the key to Nvidia's performance lead in its Maxwell GPU technology) could also yield dividends in delivering a more capable 4K console. But to clear, this is speculation based on what we now know about new Radeon features open to Microsoft. The whitepaper we've seen - dated to just after Scorpio's E3 reveal - only confirms no ESRAM, boosted L2 cache and support for memory compression technology. Beyond that, all we have to go on is Microsoft's stated 320GB/s bandwidth, eight CPU cores - plus a motherboard rendering strongly suggesting 12GB of GDDR5 memory. How the final spec will shape up remains to be seen, but from the whitepaper details to the Vega enhancements available to Microsoft, we should be a seeing a highly capable 4K contender.